has anyone already worked with these drivers ? In that combination, not sure, but I know one person did a an rs180p+sb acoustics sb26 project, and someone else did a WWMTM rs-p project. They have limited bass, of course, but I would expect for a surround speaker that combo would work well enough. I have baffles cut for this, but no time for a few weeks to work on it. Yes, Jon March did a version of his Modula TM with RS180 and several tweeter variants, including RS28's. The impedence chart leads me to believe he used RS180-8. I've looked into using the RS180-4 in a surround application, for it's higher voltage sensitivity compared with RS180-8-based MTMs. When using room EQ software with low sensitivity surrounds, I noticed the SW would drop the signal to my fronts by 10dB to match sound output for all speakers. I didn't think it a good idea to send 10x the power speakers with the least power handling in the system, thus the search for comparable sensitivity. Mount the surroungs on the wall, and the lack of BSC, combined with higher sensitivity, should to the trick... if I ever build them! Not sure why civit thinks bass would be limited... Jon ported his build with a 34Hz tune, and my MTM towers are tuned at 30Hz. I believe he is referring to the paper cone version - RS180P. I don't know why you think limited bass. Not too different from RS180. A quick box model in 19 liters net w/ 47Hz tune gives F3/F10 45/36. 43Hz tune gives F3/F10 41/33. These are pretty typical numbers for the RS180 metal cones so I don't get the limited bass comment. fastbike , was your quick sim sealed or vented ? Every project I've built with the RS180 is anything but bass-shy. I'm talking about the alu version, but it doesn't seem that much different from the paper version, spec-wise. Line Array: IDS-25 Clone, FE-83. 2-2.5 Way:Zaph Audio's winning entry: ZA5+SB29. - Microliths: RS125+RS28. - Small Bangs: TB W4-1658SB+SEAS 27TBFC/G. - Monoliths: Peerless 830884+SEAS 27TBFC/G. 3-3.5 Way:Miniliths: SEAS P21/CA21REX+Neo8 PDR+Neo3 PDR. - Megaliths: 2xDayton RS270+2xT-B W4-1337SB+SB29. - ZDT3.5 +: 2xDayton RS180+Dayton RS52+Vifa DQ25. Reflexos: OB 4xDayton RS150 + Neo3 PDR. I have built with the RS180 alumin version, as well. The bass is well balanced and can go deep. It is not overwhelming, but seems very accurate to source. I wonder, Civit, if you added enough baffle step compensation? Our greatest glory lies not in never falling, but in rising each time we fall. do y'all want another long newbie don't knowshit build thread ? 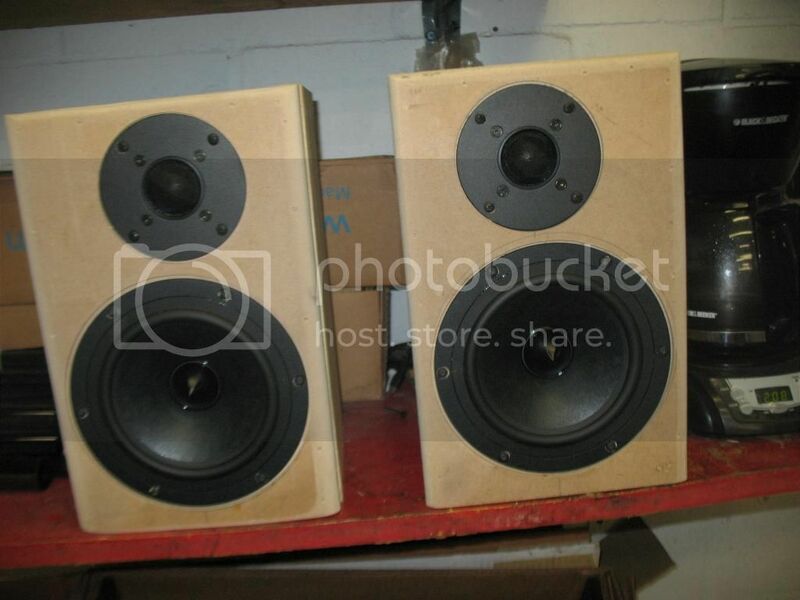 I'm using this tweeter and the original RS180 midwoofer in a tower. The biggest problem I had with that combo was the extreme response peak the MW had. It was a pain building just the right notch filter to take that peak out, but once done the two drivers worked very well together. my project, I would have gotten it. I'd have to say this would make for an excellent sounding combo.